At S&H Pools, we are the go-to swimming pool company for residents in the Hickory, NC area. Swimming Pool Company in Hickory – Swimming pools can be can be a lot of work to maintain, but the hours of fun and enjoyment you get in return are well worth the effort you have to put into it. Plus, if you choose us at S&H Pools as your swimming pool company, the maintenance can be a non-issue, so you can enjoy your pool without the hassle. 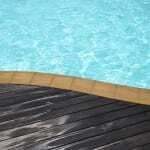 At S&H Pools, we serve the Hickory, NC area and can take care of all your swimming pool needs. We can open your swimming pool at the start of the season and get it ready for winter at the end of swimming season, plus all the maintenance in between. Most pools need some sort of servicing at the start of the swim season, and we are the best swimming pool company to get the job done. We can replace any broken or worn parts to the pool, including liners, treads, handrails, ladders, and anything else that might need fixing. We can also test the water and do any chemical maintenance you might need. Our swimming pool company is a full-service operation, and we have any swimming pool products you might need for your swimming pool maintenance. You can get swimming pool chemicals, pumps, vacuums, valve, lights and anything else you might need to keep your pool in tip-top condition. While you’re here, don’t forget to check out all of our fun pool supplies like floats, masks, and games just for the pool. At S&H Pools, we are the go-to swimming pool company for residents in the Hickory, NC area. Come see us today for all of your swimming pool needs!